Andhra Pradesh IT Minister Nara Lokesh said that what happened to the Bharatiya Janata Party (BJP) in Karnataka Assembly polls was just a 'trailer' and that a 'real cinema' would be shown in 2019 general election. Addressing the 'dharma poratam sabha' here on Tuesday, the Information Technology, Panchayati Raj and Rural Development Minister said, "Telugu people showed you just a trailer in Karnataka elections. They will show you the full movie in 2019 elections." 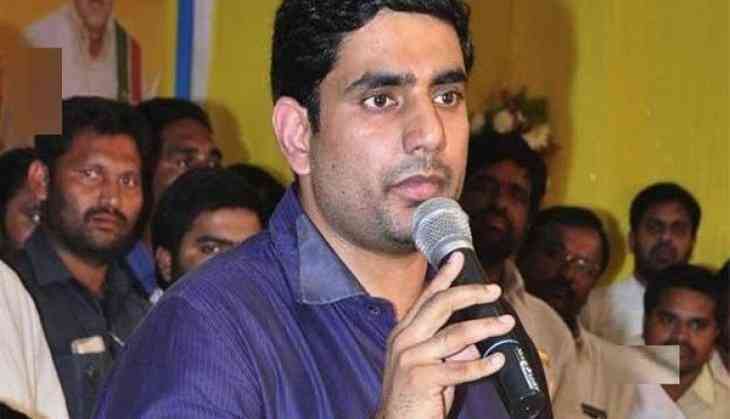 Lokesh said Telugu Desam Party (TDP) had collaborated with the BJP in 2014 hoping that the new government at the Centre would help the state but all went in vain. "We had a tie-up with the BJP in 2014 elections. The TDP had given an opportunity to BJP leaders who can't win as ward members. TDP made victory possible for BJP MLAs and MLCs," he said. He further claimed that even former prime minister Indira Gandhi could not overcome the party's power in the state. In the same event, Chief Minister N. Chandrababu Naidu said that the BJP will soon take the position of the Congress in the country, referring to the diminishing political presence of the grand old party in the nation.